Don’t get us wrong. 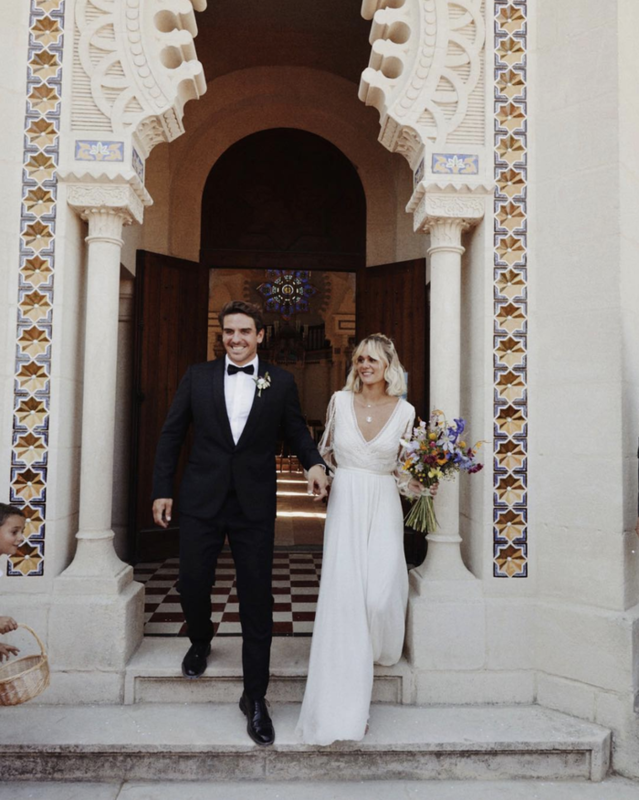 We love big, bold, beautiful, and statement-making wedding gowns, but there’s something to be said about minimalist wedding dresses that make a statement in a whole different way. After all, there’s a reason Carolyn Bessette-Kennedy’s simple slip dress is still celebrated today as one of the best bridal looks of all time. So, if you’re recently engaged and prepping for your big day but the thought of a cupcake wedding dress makes you sweat, we’ve got you covered. From breathtaking modern designs to classic slips and wrap dresses, you’ll fall in love with the carefully selected assortment of wedding dresses for the minimalist bride ahead. Can't go wrong with a simple column dress. Cool girls will love this. Leave it to Galvan to make a gorgeous gown. We'll always love a deep V.
The spaghetti straps make this. Love Meghan Markle's reception gown? Now you can make it your own. You'll fall in love with this gown. In case longer sleeves are more your speed. An off-the-shoulder gown is always a good option. Attending a wedding this season? See the best dress styles to wear now.